The Keystone, introduced in 1899 was a cheap version of the Hammond. It worked with a single element swinging sector, and the hammer that struck the back of the paper. The machine consisted of no more than 146 parts and cost 35 dollars. 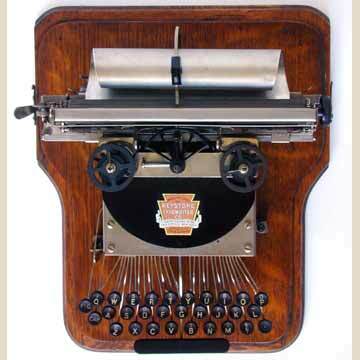 The Keystone had a spring-driven hammer, like the Hammond, which produced an equally even text. The difference between the Keystone 2 and the Keystone is primarily the cover with the decal.